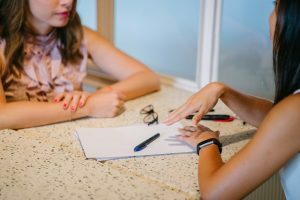 Performing well at interview is a very important part of securing the job you want, and the feedback you receive after an interview can help you to plan and develop your interview technique for the next application. If you have been consistently invited for interview but have yet to get the role you want, you should certainly be asking your interviewers for feedback and taking some time to consider what you will need to do differently in the future. Don’t miss the opportunity to ask. The best time to ask for feedback is when you receive the phone call or email explaining that you have not got the job you interviewed for. It may be that you are not speaking with the interviewer him or herself, but it may still be possible to arrange for a call back to discuss feedback. Don’t argue. Arguing with the interviewer or trying to persuade him or her to change the decision and appoint you will not go down well, and it is important not to appear rude, aggressive or personally wounded. This will have been a professional decision, and maintaining professionalism is key. Asking for constructive feedback in a polite manner is likely to yield much more helpful results. Ask productive questions. When asking for feedback, do not simply question the decision of the interviewer or panel, but ask specific questions such as what they were particularly looking for and how you could develop your application in the future. This opens the discussion and invites practical and useful advice, which you can act upon to create better outcomes next time. Use a professional recruitment service. A professional recruitment service can help you to improve your application and interview technique, and significantly improve your prospects. Talk to us at CareerWise to find out more about the services we offer and improve your interview techniques today. You can also generate useful feedback on your interview technique by recording yourself and being very honest in your appraisal, or by asking a friend or relative to help you to refine your style. Ask specifically about the way that you introduce yourself and the body language you use, as well as the answers you give, how prepared you appear and whether you could present yourself more favourably. CareerWise is Ireland’s leading specialist recruitment firm, based in Cork, Shannon and Galway, and our professional team can help you to excel at interview. Whether you are looking for a new role in the Pharmaceutical or Medical Device industries or a specialist role in a similar field, CareerWise can help. Contact us online now or call us on +353 (0) 21 206 1900 to arrange a consultation.